Sintra is one of the most magical destinations in Portugal. The charming town combines the stunning scenery of the Serra de Sintra with a wonderful selection of opulent palaces and grand 19th-century mansions. Sintra used to be simply considered as an enjoyable day trip from Lisbon, but with the boost in tourism, the opening of new hotels and improvements of all tourist services, Sintra has been transformed into a respected holiday destination. 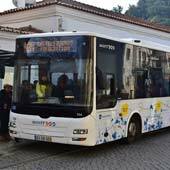 This means there are increased numbers of visitors making the journey from Lisbon airport to Sintra, and luckily public transport has equally improved. The journey from the airport to Sintra by public transport is hassle-free, inexpensive, and our recommended means to travel there. 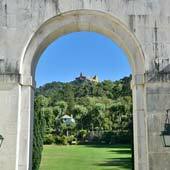 This guide will detail all of the options for travelling from the airport to Sintra and will explain in depth the journey by public transport. 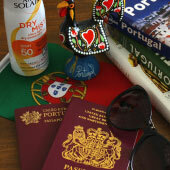 What Options do I have to get to Sintra from Lisbon Airport? 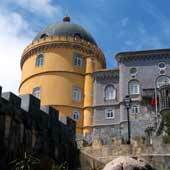 A taxi hired directly from the arrivals lounge will be the most expensive means of travel to Sintra. Taxis are good value for short journeys within the city limits, but are costly for longer fares. If you do take a taxi always ensure the meter is switched on or agree a price before leaving. 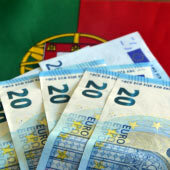 Larger taxis (7 seaters) or taxis registered outside of Lisbon will charge higher rates. There will be an additional charge for luggage. Uber has arrived in Portugal, much to the disgust of traditional taxi drivers, and provides a slightly cheaper alternative to a taxi. The main difficulty with Uber and airport transfers, is that they cannot pick up at the arrivals building and there is often confusion on the exact meeting location. 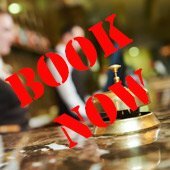 A pre-booked private transfer from the airport to Sintra is often the best idea if you are travelling as a family or group. Prices and standards vary, but typical costs are €40 - €60. Be wary of the results from Google or Bing searches as these are often populated by international booking agencies who contract out the actual work to local companies. 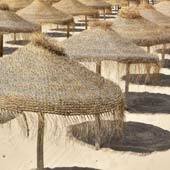 There are no shared transfers to Sintra as there is not enough demand. The taxi, Uber or private transfer from Lisbon airport to Sintra takes around 40 minutes but will be much longer during evening rush hour. As with all services in Portugal, if the driver has been courteous always consider a tip as Portuguese wages are so poor. Public transport between Lisbon airport and Sintra takes the metro and an urban train service. The entire journey costs less than €6 and the typical journey time is 1h20min, including connections, and is how we travel to Sintra. Both the metro and train have multiple hourly services and continue late into the night, details later on in the article. The final stage could be the trickiest, as Sintra is spread across many steep hills and the train station is part way between the residential town centre and the historic centre. Depending on your exact hotel or accommodation it could be a short walk or strenuous hike up a major hill, but there are usually taxis by the station. 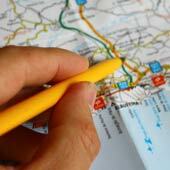 The following section will explain in-depth the different stages of the journey. Lisbon airport has two terminal buildings but all arrivals are handled by terminal 1. For your departure confirm the departure terminal, as the low-cost airlines fly from Terminal 2. Lisbon airport is one of Europe’s only major international airports, which lies within the city limits, and it is only 6 km to the historic centre of Lisbon. The train to Sintra departs from the Oriente train station which, is in the Parque das Nações district, to the east of Lisbon. The recommended means of travel to Oriente station is by the metro and the journey is just three stops along the red line. For this short journey there is no real need for a taxi, and it is even possible to see Parque das Nações from the arrivals building. A single metro ticket costs €1.50 and is charged to the reusable “Viva Viagem” card. This card costs €0.50 for the initial purchase and is used by all public transport in Lisbon. The Viva Viagem ticket holds the fare for one person, meaning each traveller in a group will need their own card. The entrance to the metro is outside of the arrivals lounge and to the right of the taxi ranks, it’s difficult to miss as its painted bright red. In the metro station there is a ticket office but it is often much quicker just to use the ticket machines. These ticket machines are very easy to use and have instructions in English, Spanish and French. The machines accept up to €20 Euro notes and always retain the receipt in case of issues with the card. If you are approached while purchasing your ticket politely decline their help, as this encourages more non-Portuguese economic beggars. For the metro system, the Viva Viagem card must be swiped on entering and on exiting the metro station. The metro extension to the airport was opened in 2012 and is modern, safe and has full disability access with multiple lifts. Oriente station is also fully serviced by lifts. Lisbon is connected to Sintra by a regular urban train service that departs from Oriente train station. 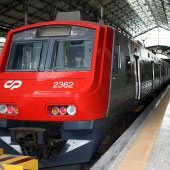 The train is operated by CP (Comboios de Portugal), the national train company of Portugal. A single ticket costs €2.25/€1.15 (adult/child) and are charged to the Viva Viagem card (the same ticket used for the metro). Oriente train station is a major transport hub and the platforms are on the top level with the ticket offices on the level below. The station is always busy but is well organised and spacious with clear signage. Across the from the station is the Vasco da Gama shopping centre and on the top floor is an excellent food court. Along the waterfront of Parque das Nações are more stylish restaurants and the entire area makes for a pleasant detour if you have the time. For a guide to the Parque das Nações please click here. The train journey to Sintra passes through the non-descript residential housing estates that surround Lisbon and there is not much to see. These estates are some of Lisbon’s most tough and deprived, so use the same common sense you would back at home. The train is safe, but late at night sit with other passengers, stay away from dodgy looking people and never show off expensive items. 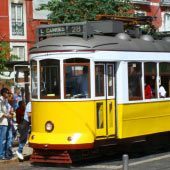 There is a secondary train service to Sintra which departs from Rossio train station. This station is further to travel to using the metro and requires a connection from the red line to the green line. Rossio train station is not directly connected to Rossio metro station, and a walk across Rossio square is required. Also, the ticket offices and ticket machines at Rossio train station can get very busy with tourists heading to Sintra for a day trip. All of these complications add up and make Oriente our recommended departure station. To read about this other train route please click here. Sintra train station is the final stop of the railway, the historic centre is to the west of the station while the residential town is to the east. The exact GPS coordinates of the station are 38.79870, -9.38646. Outside of the station is a taxi rank and there is usually a handful of taxi waiting here.